Measure the dimensions of the area you will be putting mulch into. Once you have measured the length and width of your mulch area, and once you have decided on a desired mulch depth (how deep you want the mulch bed to be - we recommend between 2 inches to 3 inches for shrub beds, and 6 inches to 12 inches for playgrounds) enter the numbers in our mulch calculator below. If you have multiple mulch beds you want to add together, enter the dimensions for the first mulch bed and click "Calculate." 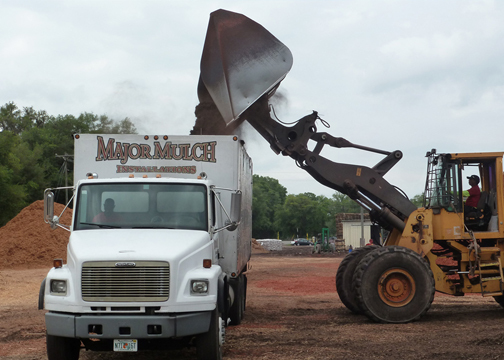 Then, click "Add Another Mulch Bed" and repeat the process for each additional mulch bed.